You’ve made the decision that this upcoming family vacation, you’re set on spending it in Southern Turkey. Maybe you haven’t been on a Turkish yacht charter and would like to know what it’s like. How to find a yacht charter that is right for you is not difficult at all. 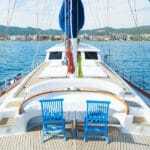 However it will help to have an idea of your expectations for your boat charter Turkey vacation. Knowing what sort of activities, how much you want to spend for that one week yacht cruise and maybe what part of the coast you wish to see will help guide the agent so that they can easily shortlist a selection of boats for you to look through. A luxury yacht charter can vary in quality, service and facilities on board. But starting off with a few of the items listed above is a good start. Once you have confirmed the number of people in your group, there needs to be a budget of how much can be allocated for your yacht hire needs. Yacht charters in Turkey are sold in a minimum of one week. They run from a Saturday to the next Saturday – so 7 nights and 8 days. You generally board the boat during the afternoon and disembark shortly after your breakfast on the 8th day of your itinerary. Hypothetically, if your budget was 10,000€ for the week, you also need to consider calculating provisions and other purchases you might be making during your yacht cruise holiday in Turkey. 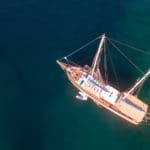 Therefore, the question here is, will your budget be enough for the gulet rental, the food and beverages, land excursions (which are optional), high end water sports such as jet skiis (also optional), and other personal shopping and dinning that you and your group might like to do. Airport transfers with some companies are extra. However with YNG Yachting, airport transfers are included when you book a private yacht charter from Turkey. 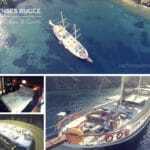 For 10,000€, gulets from the Luxury gulet and Deluxe gulet classes can be hired. This could be full board. It depends on the gulet and the time of year. For motor yachts, you also need to calculate the fuel. This too varies, depending on the size of the motor yacht charter. The itineraries for yacht cruises are generally flexible. The price of the yacht rental does not change whether you are doing a tour in Turkey or in Greece or combining the both. The only areas that might cost extra in an itinerary is if you choose to cruise to the island groups of Sporades and Ionian in Greece; and Cyprus. 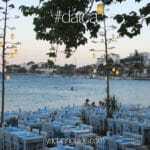 This is again dependent on the gulet or yacht rental. Unless you specify your itinerary in advance, then a yacht that is equipped to visit these areas can be sourced. For more information on Turkish yacht charter vacations, contact a yacht charter consultant to find out what would be the ideal yacht rental in the Mediterranean or Aegean of Turkey.